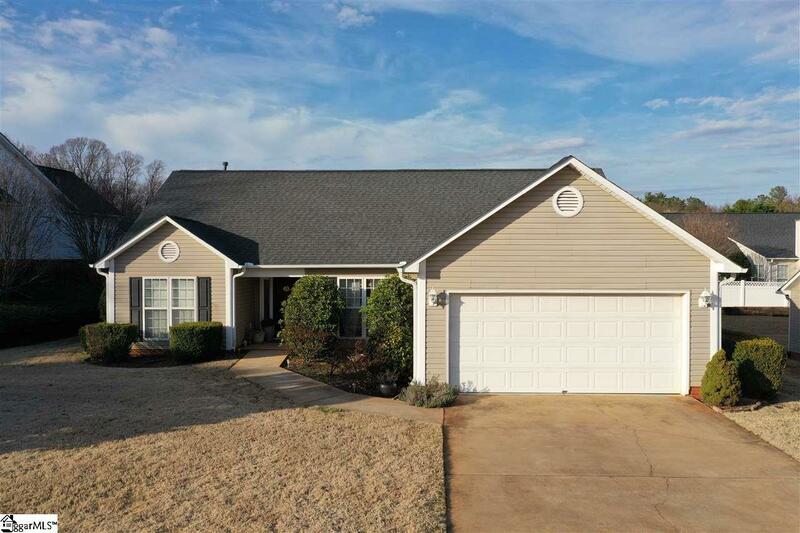 This immaculate 3 bed 2 bath home in Lexington Place is move-in ready! Lawn maintenance is included in the HOA fee, providing you with a lovely landscaped lot. Features include: cathedral ceilings in living area, wood-burning fireplace, open floor plan, lovely warm dark cherry cabinets and elegant tile backsplash in the kitchen, granite countertops, walk-in laundry room, 2 car garage, and a very spacious master suite with large walk-in closet, double sinks, separate shower, and jetted garden tub. This home won&apos;t last long at this price in this location, so call to book your showing today! !